Indulge your creativity and your love of barn quilts! Our own Lisa Kajer and Mary Noska will be teaching a class at the Leaning Silo Folk & Homestead School in Swanville, MN. The workshop will be held on Saturday, April 28th from 10 am – 4 pm. Participants will create their own 2′ x 2′ barn quilt during class with tons of guidance and instruction from our experts. The class fee includes all supplies and a delicious lunch prepared onsite. 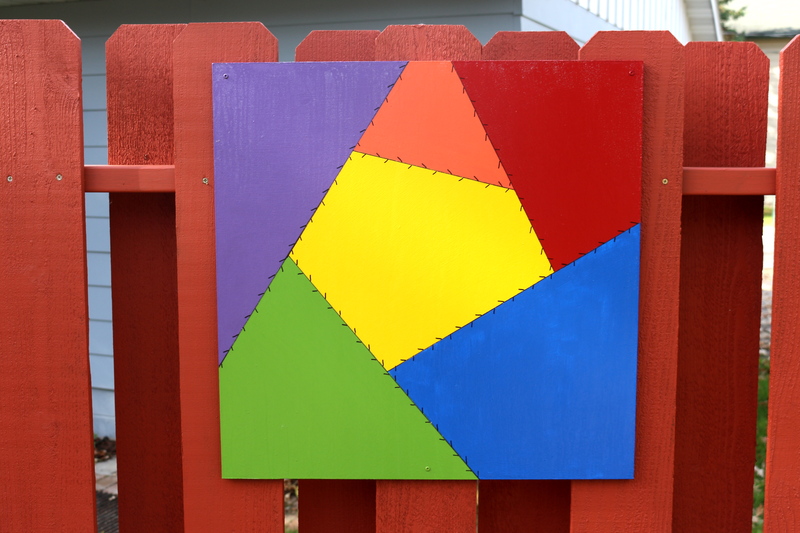 The smaller 2′ x 2′ size is perfect to display on a home, fence, or garden shed. It adds a pop of color and art to any building. Class participants that live in our four-county trail area (Wadena, Todd, Morrison, and Cass) can apply to be listed on our barn quilt trail to show off their finished square. To sign up for the class or to learn more, please visit the Leaning Silo website.